World Homeopathy Awareness Week (WHAW) is celebrated in over 45 countries around the world. The 2009 theme is “Homeopathy for Allergies.” Dates for the 2009 WHAW celebration is April 10-16, 2009. This year’s observations are also dedicated to the 254th anniversary of the birth of Samuel Hahnemann, the founder of homeopathy. 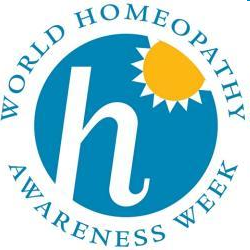 World Homeopathy Awareness Week is sponsored by World Homeopathy Awareness Organization (WHAO), a non-profit volunteer organization incorporated in the Netherlands in 2008. On February 28, 2009, WHAO was officially recognized as a non-profit in the Netherlands. The first WHAW took place in 2005. The United States chapter, WHAW-US, won the WHOA’s award for outstanding contribution to homeopathic awareness in 2007. Other participating countries include Armenia, Belgium, Bulgaria, Croatia, Finland, Hungary, Israel, Kenya, Pakistan, Serbia, Spain, Ireland, Nepal, Australia, Bosnia, Denmark, Greece, India, Lithuania, New Zealand, Slovakia, Egypt, Bangladesh, Japan, Malaysia, Australia, Romania, South Africa, and Brazil. For more information on World Homeopathy Awareness Week contact www.usahomeopathy.org or www.worldhomeopathy.org.